Seeing the world at eye level isn't something often experienced by adult manual wheelchair users. It only really happens when seated amongst others. The moment a group stands up, the feeling of inclusion can seem to end. But what if it didn't have to? The Tek RMD is a robotic mobilization device that offers the ability for those who are in a manual wheelchair to complete everyday activities from a standing position. Unlike other standers, users can board and control a Tek RMD unassisted. Socialize with friends in a new way! 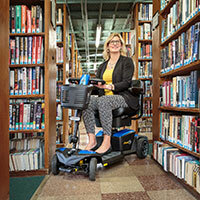 The device's small footprint, 16.5-inches wide by 29.5-inches long, make it easy to maneuver through doorways that can often be challenging in other chairs, and a turning radius of 23.6" allows for smooth transition of direction. This allows the opportunity to interact and engage at eye level while enjoying the mobility normally experienced in a chair. The benefits don't simply end in a boost in confidence and self-esteem. Being in a standing position for periods of time each week offers many physical benefits. RESNA, the Rehabilitation Engineering and Assistive Technology Society of North America, has found that standing five times every week can help improve bone density, bladder and bowel function, digestion, circulation and respiratory function. 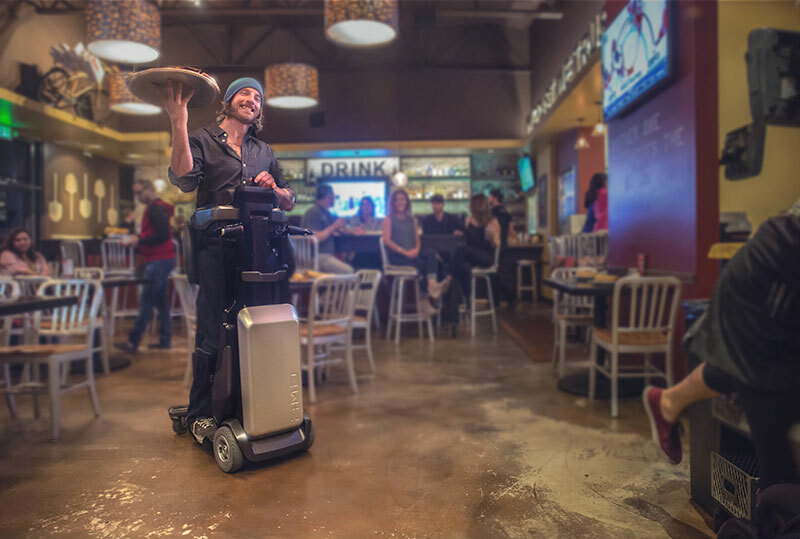 While other standers can require additional help to use, the Tek RMD allows users to board from the back without the assistance of others, providing even greater independence. Once boarded, the suspension system contains a gas spring mechanism that balances the weight of the user, requiring only a gentle pull to enter a standing position. When standing, a joystick control allows the user to take his or her own path. A remote control feature also offers the ability to send the device away and call it back when needed. Tek RMD is a life-enhancing technology that enables wheelchair users to participate in everyday life in a way they may have previously thought was not possible. The ability to independently and safely sit, stand and navigate environments that were once inaccessible is now a reality. The Tek RMD is available in the United States exclusively through Numotion. More information can be found at www.shopNumotion.com, and will be on display for demo at the Los Angeles Abilities Expo in booth #411. Stop by and try it!